I was looking back over my Weight Watchers app data and realized that somewhere along the way when I started my blog, I miscounted my weeks, so I’m actually at week 15, not at week 14. This week’s update has to be short and sweet (as well as a day late). I’m happy to say that I’m another pound down, for a total of 31.7 pounds! 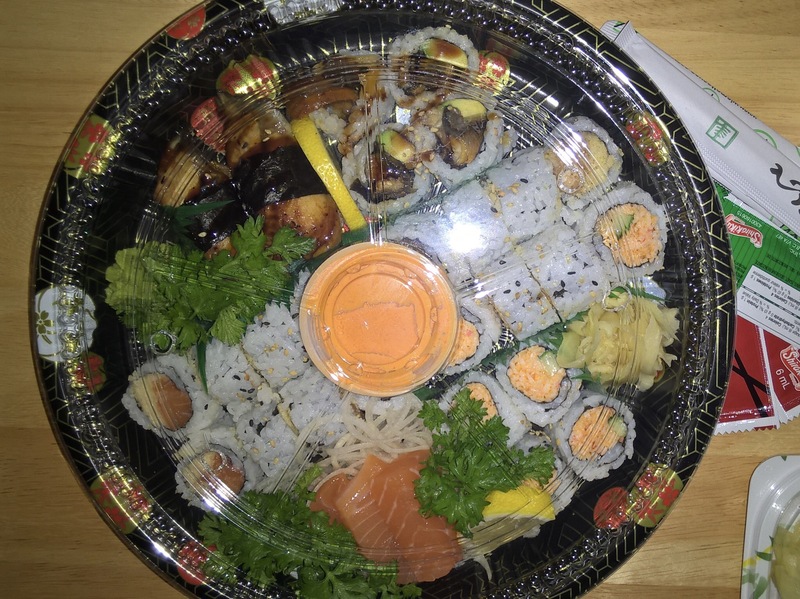 And I even treated myself to sushi on Friday night! It just goes to show that you can eat healthily, and still have a treat once in a while! What is your favourite thing to treat yourself with once in a while? Just once in a while mind you, I love to indulge in a cheese pie (cake) from Claim Jumpers. So delicious! I have to admit, cheesecake is a major weakness for me. You are doing amazingly well! I like all the bad stuff! I cut out a lot of simple carbs from my everyday diet, and I’m finding it easier now, but in the beginning it was so hard! I treat myself now with one square of quality chocolate now when I want it, and I stick to that one square, lol.